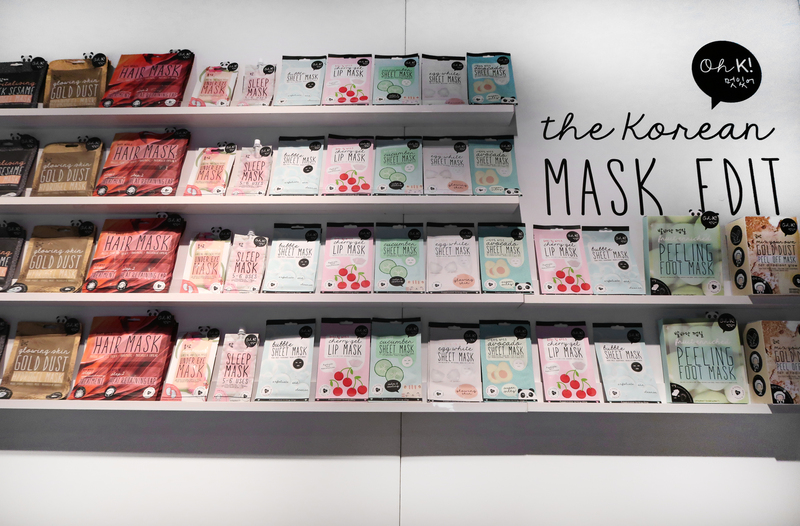 As a big fan of Korean skincare, especially sheet masks, I was really excited to see what Oh K! were going to be launching. 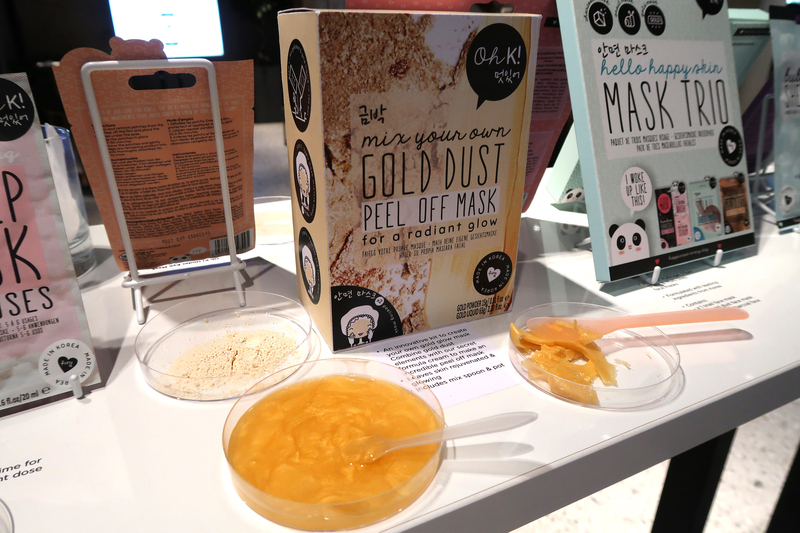 One of the newest additions to Oh K!’s range will be the ‘Gold Foil Sheet Mask‘. Now you might be thinking oh is it actually going to be foil like in texture (I know that’s what I was thinking) but it’s safe to say that it won’t be! 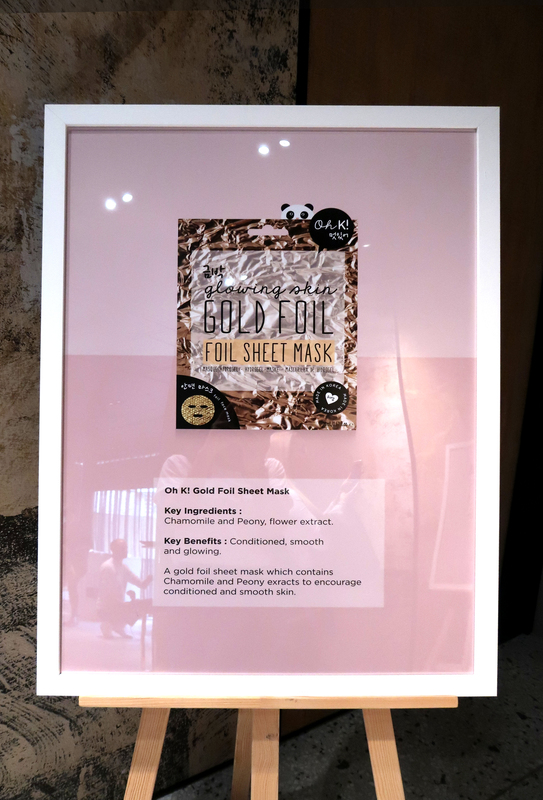 It does however have a gold effect on the mask and a unique honeycomb pattern design which is something I’ve not seen on a sheet mask before. This mask is designed for moisturising and the inclusion of chamomile and peony flower extract help to sooth and smooth the skin. 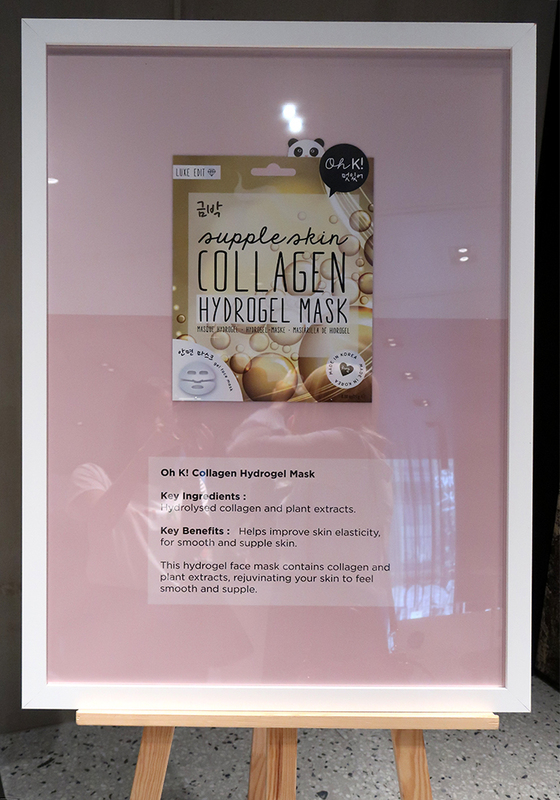 Next up we have the ‘Collagen Hydrogel Mask‘ which comes in 2 parts and has a gel consistency rather than the traditional fabric style sheet mask. I have quite a small face and typically masks don’t fit my face all that well so the advantage of having 2 parts means that you can adjust the mask so that it covers your face just right. With the inclusion of hydrolysed collagen and plant extracts the Collagen Hydrogel mask helps to improve skin elasticity and leaves skin smooth and supple. 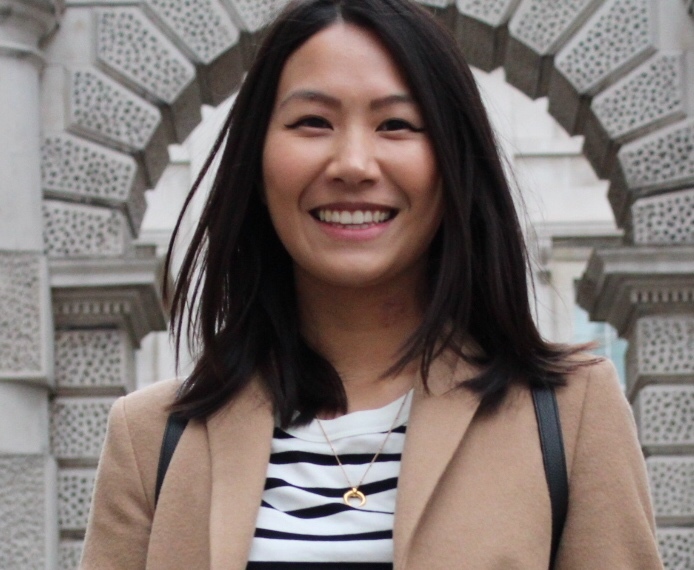 If you live in a city with heavy air pollution like London, collagen masks are definitely one to consider as those environmental factors can really take a toll on the skin and breaks down elasticity. 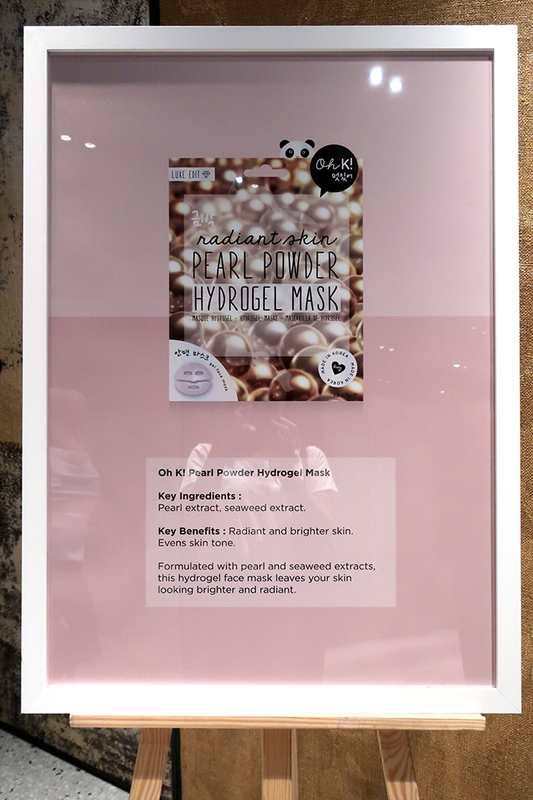 The third new release is the ‘Pearl Powder Hydrogel Mask‘ which again comes in 2 parts and is made of the same gel consistency as the Collagen Hydrogel mask. Its key ingredients are pearl extract and seaweed extract – a combination designed to result in radiant and bright skin, and evens skin tone. 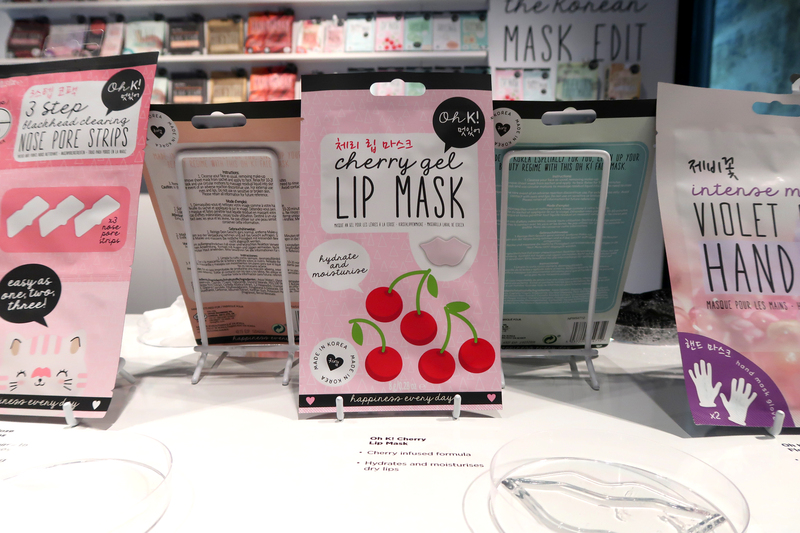 I know when I’ve had a few too many late nights or haven’t been eating right my skin can look dull and sallow, so these sorts of masks are perfect for perking up the skin and adding a glow. Finally on to the fourth release we have the ‘Travel 8 Step Regime‘. This is my favourite because it’s the perfect travel solution! What isn’t there to love about sachets that you can tear and use as you go (or take the whole 8 steps away with you), that meet the liquids limit requirement and can fit in that clear plastic bag at the airport? I love travelling but having to decant my skin care into little tubes and tubs can be such a chore, but having it already conveniently packaged up with a decent amount of product just makes travelling so much easier. Also it comes with 2-in-1 shampoo and conditioner and body wash. For me I still prefer to have my shampoo and conditioner separate but if you’re doing an overnight stay somewhere I could forgo my usual routine. One word for this product, genius! 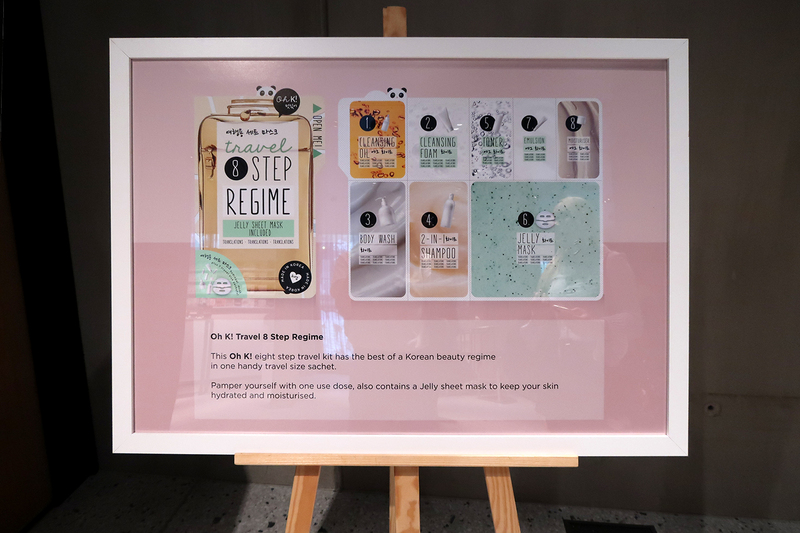 It’s currently been formulated for normal skin but I’m sure in future, ones which are targeted for specific skin concerns such as oily skin or sensitive skin will soon follow! Oh K! also have an extensive range of other mask products including Mix Your Own masks, foot masks (anyone seen those peely foot masks on YouTube – yep it’s like those! ), lip masks and more! You can buy Oh K! masks from quite a range of stockists now including Boots, ASOS and Feelunique and generally priced between £4-10. Have you tried Oh K! masks before? What are your favourite type of masks?